"Release of 1950s U.S. Grand Jury Transcripts Is Sought in Rosenberg Atomic Spy Case"
"Groups Seek Rosenberg Grand Jury File"
"Petition Seeks Release Of Rosenberg Testimony"
"AHA Petitions for the Release of Rosenberg Files"
Washington, D.C., January 31, 2008 - The National Security Archive, along with several leading U.S. historical associations, today is filing a petition in federal court in New York City for the release of grand jury records from the 1951 indictment of Julius and Ethel Rosenberg, who were accused of running an espionage ring that passed American atomic secrets to the Soviet Union, convicted of spying, and executed in 1953. 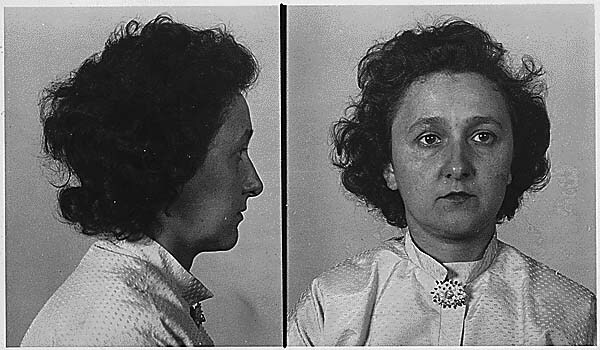 Supported by extensive declarations from experts, the petition describes the trial of the Rosenbergs as a defining moment in the Cold War, and argues that 57 years later, scholarly and public interest in these transcripts far outweigh any remaining privacy or national security interests in continued secrecy. Supporting declarations point out that details of the Rosenberg grand jury proceedings have come to light over the years, yet significant questions remain unanswered about the case that the grand jury records are likely to address. The declarations variously point to questions about the scope and targets of the spy ring, the conduct of government prosecutors, the weight of the evidence, particularly against Ethel Rosenberg, and the involvement of other individuals. Among the declarants are historian John W. Berresford, National Security Archive Director Thomas Blanton, University of Prince Edward Island Professor Bruce Craig, law student Jennifer Dillard, Yale University Professor John Lewis Gaddis, Library of Congress Manuscript Historian John Earl Haynes, Temple University Professor Allen M. Hornblum, Professor Ronald Radosh, New York Times reporter and historian Sam Roberts, Yeshiva University Professor Ellen W. Schrecker, George Mason University Professor Martin J. Sherwin, St. Joseph's University Professor Katherine A.S. Sibley, Marquette University Professor Emeritus Athan G. Theoharis, and historian Steven Usdin. 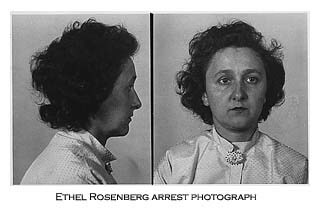 In addition, Robert Meeropol, on behalf of the families of Julius and Ethel Rosenberg, submitted a declaration in support of the release of the grand jury records. A similar petition seeking the release of special grand jury transcripts from the investigation of Alger Hiss was granted in 1999 based on the significant public interest in filling gaps in the historical record. In 1948, Alger Hiss, a former high-ranking State Department official, was accused of passing secret information to Whittaker Chambers, a member of the Communist Party. Mr. Hiss eventually was convicted of perjury for lying about whether he had passed along secrets. The petition to unseal the Hiss materials resulted in the release of several thousand pages, including the testimony from a list of witnesses that included then-Congressman Richard Nixon, Alger Hiss, Whittaker Chambers, Harry Dexter White, Congressman Karl E. Mundt, and others. That release brought to light, for the first time, the fact that the future president made a second appearance before the Hiss grand jury to implore the grand jurors to do their patriotic duty and indict Alger Hiss, but not his accuser, Whittaker Chambers. Shortly after Nixon’s appearance, the grand jury did just that, triggering Hiss’ trial and conviction. The petitioners include the National Security Archive at George Washington University, the American Historical Association, the American Society for Legal History, the Organization of American Historians, the Society of American Archivists, and New York Times reporter Sam Roberts. The petitioners are represented by David Vladeck of the Institute for Public Representation at the Georgetown University Law Center, who also served as counsel on the successful Hiss grand jury petition, and Debra L. Raskin, at Vladeck, Waldman, Elias & Engelhard in New York.